There were fifty of us on the bus, heading west out of New Orleans early on a Friday morning. 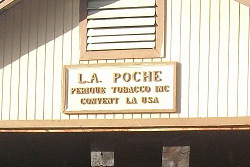 A cross section of backgrounds, men and women, old and not so old, we were making a pilgrimage of sorts to the Mecca of our most revered subject of adulation: Convent, Louisiana, to the L.A. Poche factory, the de facto home of Perique tobacco. As the bus traced the course of the Mississippi for an hour outside of town, I gave in to my particular brand of narcolepsy and promptly fell asleep, though not for lack of anticipation. I’d been dreaming about this trip since I first read the article in PipesMagazine.com, The Mystique of Perique. This one-time tour was arranged by Toby Ducote and the New Orleans Pipe Club with Mark Ryan to help kick off the inaugural NOLA Pipe Show, and believe me, it was one hell of a kickstarter. Normally civilians like us never get this peek inside the chocolate factory, as it were; it’s reserved for the occasional industry visit or the like. What’s Old is New Again Thanks to Standard Tobacco Co.
J.M. 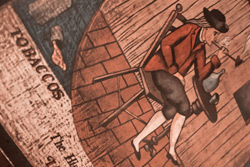 Boswell is the living embodiment of self-reliance, a belief that the ultimate source of truth lies within himself. Lofty? Perhaps, but J.M. 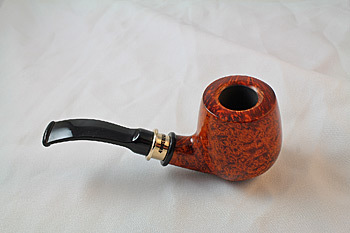 Boswell is a professional pipe maker of rare talent. 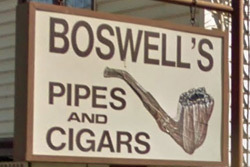 He makes a perfect pipe because it is true to his code: it has to be flawless, or he will not let it leave his shop in Chambersburg, Pa.
You have no doubt heard of Boswell pipes. He has become, in many estimations, a kind of guru at the top of the mountain, dispensing vast knowledge about the mystique of pipe smoking. 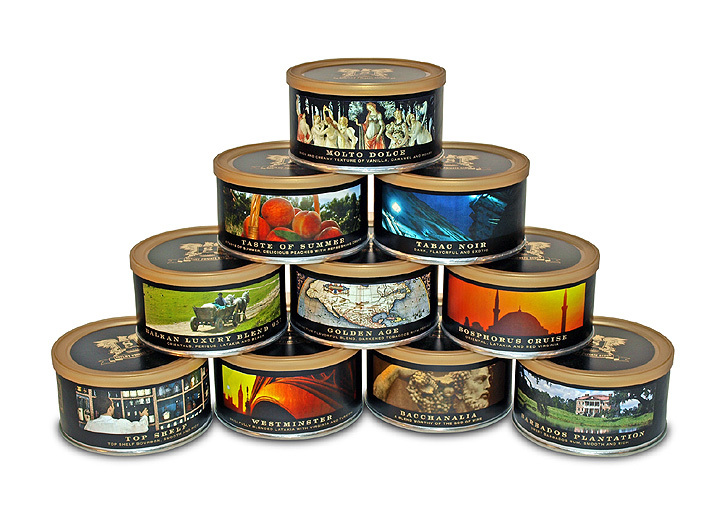 It was announced today that Cornell & Diehl, the well-known boutique pipe tobacco manufacturer based in Morganton, North Carolina will be merged with Laudisi Distribution Group (LDG). LDG is a subsidiary of Laudisi Enterprises, run by Sykes Wilford. Laudisi Enterprises is the U.S. distributor for Savinelli products and also runs Smokingpipes.com. The merger of LDG and C&D will be effective January 1, 2014. The two founders of the companies, the late Craig Tarler of C&D and Sykes Wilford of LDG had done business together for over ten years, and in the process became friends and confidants. Mr. Tarler approached Mr. Wilford with the idea of taking over Cornell & Diehl years ago, but as Wilford puts it; “It wasn’t something we were ready for then.” Tarler, advancing in years and with an eye towards a succession plan, in 2008, brought in his son Chris to help run the business. Gradually, Chris Tarler took over most of the management responsibilities from his father, and then all of them when the elder Tarler passed in September 2012. After LDG took over the distribution of Savinelli products in October 2012, they instituted new processes and procedures which created efficiencies that afforded the opportunity for improved customer service, marketing and product development. 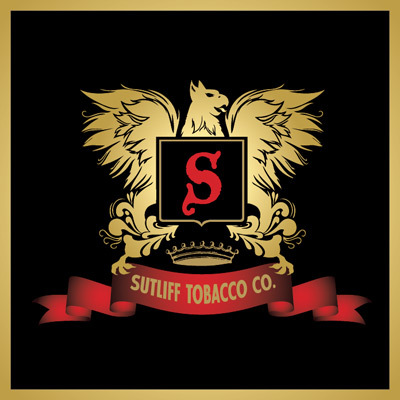 While Wilford and Chris Tarler were in the process of working together on special tobacco projects, they became friends and Wilford told Tarler of his success with the Savinelli arrangement. 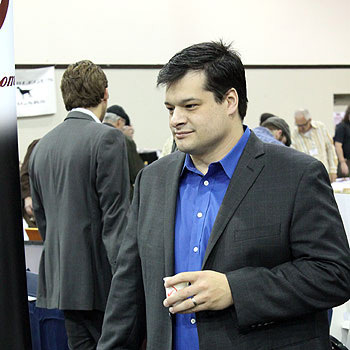 "Since Chris and I are friends, we spent a good bit of time discussing the sorts of things we were doing with Savinelli distribution in our distribution division, Laudisi Distribution Group. As we got talking, it became clear that while Cornell & Diehl were clearly making great tobacco (I’m smoking some right now), there were a number of areas peripheral to their core business (i.e. important things that don’t have anything to do with the actual making of tobacco) that we could help with. Laudisi has a lot of experience with business processes, software, logistics and marketing. Further, we think that with the help of Laudisi Distribution Group, perhaps Cornell & Diehl–along with the other brands they manufacture, such as G. L. Pease and Captain Earle’s–could be more widely distributed into smaller shops across the country. We decided to start exploring the possibility of Cornell & Diehl joining the Laudisi family of companies." "Ultimately, we worked out a deal where Chris Tarler and Patty Tarler, the owners of Cornell & Diehl, would become part owners in Laudisi Enterprises. 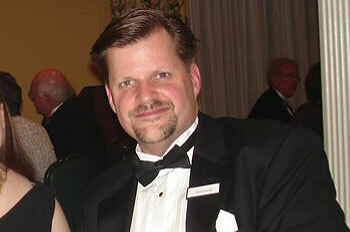 Chris will join Laudisi as VP for Manufacturing and the entire C&D staff will become Laudisi team members. Keith Toney will move from C&D to LDG as we shift the distribution for C&D to LDG for the US market. Manufacturing will continue in Morganton, NC at the current C&D facilities." Wilford stressed that there will be no changes to the tobacco blend recipes. Some of the tin art will change, and the C&D website will get a much-needed makeover. Direct-to-consumer sales will cease, but special orders can still be placed through any retailer interested in doing so. Cornell & Diehl will maintain the same phone number and facilities so they can still be reached just as before. Wilford summed-up by saying; "I’ve long been a fan of Cornell & Diehl’s tobacco and good friends with the Tarlers. Working on all of this with Chris and Patty has been really rewarding, learning about their business and about making tobacco (at a level of detail that I didn’t know existed) has been a ton of fun. Helping them with technology and marketing has also been a lot of fun. I’ve known for years that they were great people; I’m excited that Chris and I will be working closely to make Cornell & Diehl even better than it already is." We asked Chris Tarler what excited him most about the new arrangement and he said; "The fact that the day-to-day administration of the business is lifted from my shoulders and I can concentrate solely on being creative with new blends and production has me extremely enthused. The company has been growing so fast that the management duties have grown to take up too much of my time. Now we can concentrate on manufacturing. This will reinvigorate the company for new blend development and increased manufacturing. Orders will be speeded up, customer service improved… this is better for the customer all around." "It was a dream for my father to secure the future of Cornell & Diehl and this gives us a way to do that. We have such a great relationship with Sykes that this was the next logical step." We also spoke to Gregory Pease, Blendmeister at G.L. Pease Tobaccos, which are produced by Cornell & Diehl. Pease asserts; "This is really exciting for me, opening the door for some wonderful new opportunities. Not only will it help expand distribution, making my blends more accessible to a wider audience, but it will also make possible some ideas that I’ve been thinking about for a long time, but just haven’t had the business resources to accomplish. I plan on creating more limited edition blends, and have some top secret new projects that I wasn’t able to do before the merger. Additionally, just having more marketing muscle behind the product is going to be good for the G. L. Pease brand overall." 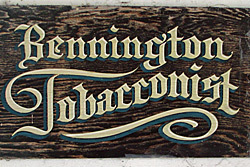 Bennington Tobacconist has been in business in the state of Florida for nearly 50-years. 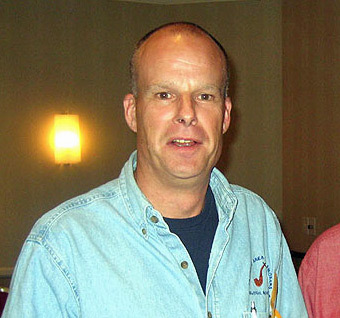 This second-generation family business was founded on the central west coast of Florida in 1965 by William Bennington. The original store is still located in the beautiful St. Armand’s Circle tourist area of Sarasota. Fifteen years after opening his first store, Mr. Bennington conducted a meticulous 3-year search and negotiations to open his second location in 1980. This location is in the swanky town of Boca Raton on the southeast coast of Florida. It’s quite an impressive feat for any small business to still be thriving after this many years. It’s even more remarkable if you’re a retail tobacconist in today’s ever-increasing climate of anti-smoking, anti-tobacco zealots with their jihad-like activism. Bennington’s must be doing something right though. I made a visit to the Boca Raton store recently and spent a few hours with the owner, Jim Bennington. The most popular material for making tobacco smoking pipes is by far—Briar. The Comoy family started making briar pipes in Saint-Claude, France in 1856 when they found that it was far superior to other woods and clays being used at the time. 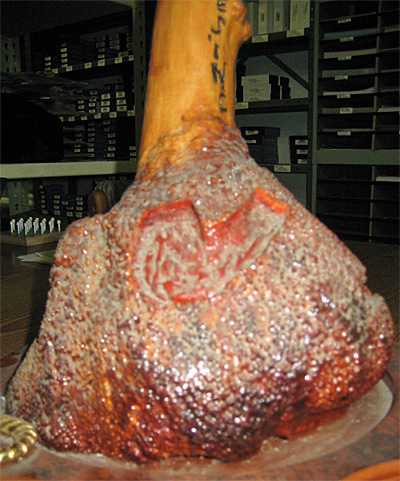 There are other woods used to make smoking pipes, but briar is considered the best because of several qualities—resistance to burning, density that withstands moisture produced from smoking, porosity that reduces heat, and the flavor that the wood itself adds to the tobacco in some cases. Briar comes from the Heath Tree, which looks more like a shrub than a tree, and is actually a flowering plant. It is small and grows in the Mediterranean Basin, coming from countries such as; Spain, France, Algeria, Morocco, Italy, and Greece. During the Chicago Pipe Show last weekend, renowned tobacco blender Erik Stokkebye debuted some exciting new pipes. 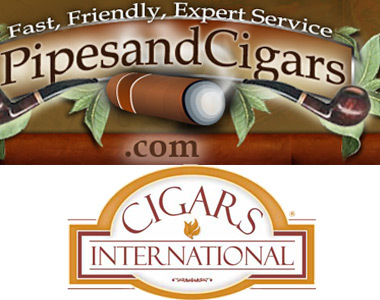 He was there representing Phillips & King International, which distributes several pipe and tobacco lines, including Erik’s own 4th Generation Tobaccos. Building on the 4th Generation brand, there will now be an accompanying line of 4th Generation Pipes. The pipes are made in Denmark and developed by Erik and an undisclosed pipe maker. There are 4 shapes available; 1855, 1897, 1931 and 1957 –as with the tobacco each shape is based on the birth year of the four generations. Here’s an extremely interesting video from Savinelli Pipes that shows the entire pipe making process from when the wood arrives at the factory to the finished pipe. It’s a long process that includes the aging of the briar ebauchons, inspecting and sorting for different shapes, cutting, drilling, turning of the shank - there are as many as 90 distinct steps on the pipe’s way to completion.